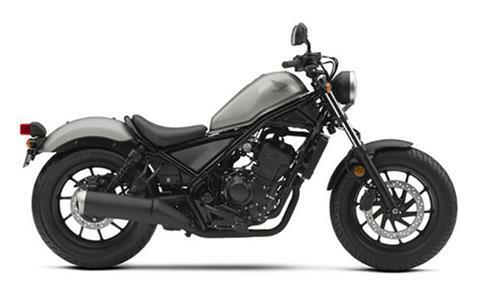 2018 Honda Rebel 500 ABS SALE @ Honda of Chattanooga! LIGHT WEIGHT: Weighing just 414 pounds with a full tank of fuel, the new Rebel 500 is a lot more fun and friendly to ride than some bigger machines—perfect if you’re just getting started, or if you’re looking for a nimble bike. The light overall weight helps performance, too. SPORTY ENGINE: Twin-cylinder engines are a great choice for a machine like the new Rebel 500. Honda twins are famous for their versatility, and the 471 cc Rebel 500’s engine is one of our best ever. The parallel-twin engine is narrow, which helps reduce overall bike size. Plus it offers lots of low-rpm torque, but plenty of higher-rpm performance.